Woo hoo! It's Fun Friday! OK, I'm sorry. I realize it is no longer Friday, and I am a little late. I'm sure many of you are like me. Tired. Around my house has been crazy! Well, that is, when we have been home, which is very little. Between school, showing cattle, working the concession stand, and volleyball games, our lives this week have been a little hectic. I am glad to say that volleyball and showing cattle are now over for this year. I love watching my girls, but I think we are all ready for a break. I hope your school year is going great! We had a wonderful week in my classroom this week. My students are settling into fourth grade, and are working really hard. I am very proud of the accomplishments that I am seeing. 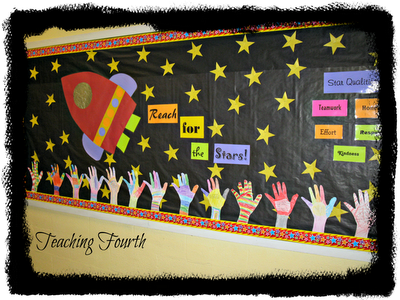 For this week's Fun Friday, I wanted to share our 4th grade bulletin board in our hallway. Isn't it cute? Most of you are probably familiar with the inspiration for this bulletin board. I just combined the two! 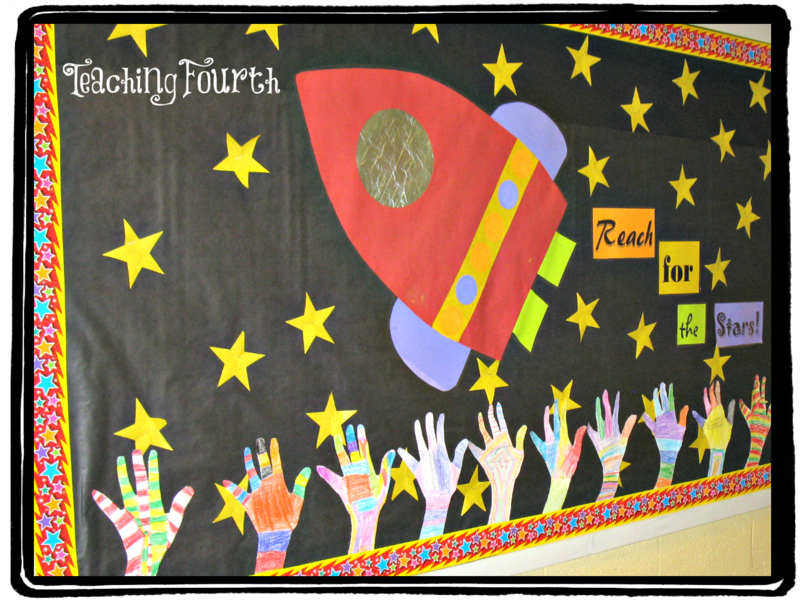 My students enjoyed coloring their hand cutouts. They also wrote 5 goals for the year on their hands. 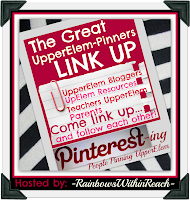 Now it is time for you to link up for Fun Friday. 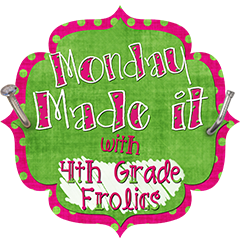 I'd love for you to link up and tell us about anything that was fun for you or your class this week! I am excited about some changes that I have in mind for Fun Friday next week! Don't miss it! Fun Friday and a Winner!! Congratulations to my big winner of my 100 Follower Giveaway! (click here to see) Thank you so much for entering, following, posting, and participating! Now, it is time for Fun Friday!! I don't know about you, but I was ready for Friday this week. We have been so busy with school and volleyball! I have loved watching my girls play ball for the first time this year. I am so proud of both of them! For Fun Friday this week I wanted to share an activity with you that I did with my students. 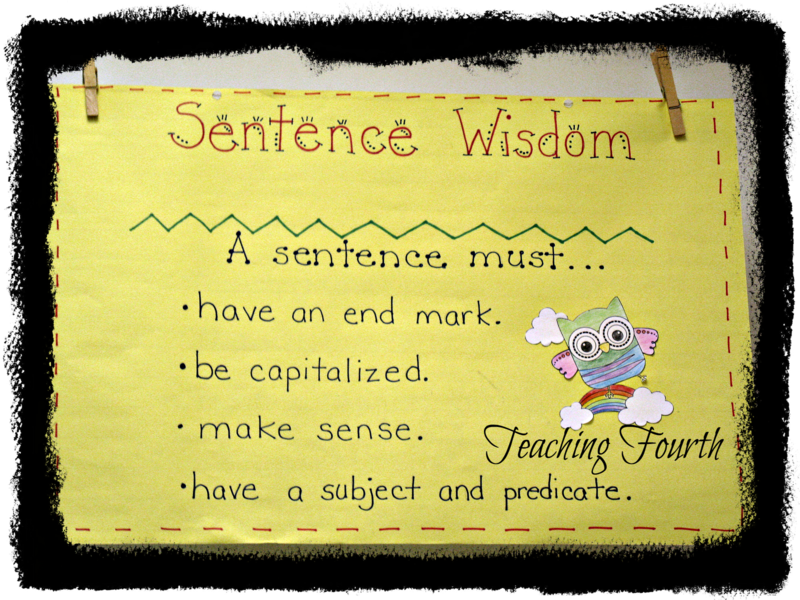 Hopefully, your students are great at writing complete sentences and not writing run-on sentences. Unfortunately, this is a weakness for many in my classes this year, so I tried to come up with some activities for my students that would reinforce writing complete sentences. 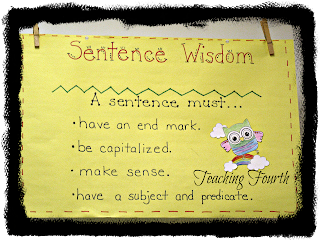 First, after smart board activities and Power Points, we created an anchor chart about sentences. Next, I created stations around the room and told students that they would be working with their partners. At each station, I placed a chapter book with an interesting cover. ﻿I instructed each team to write 4 sentences about each book cover: one declarative, one interrogative, one imperative, and one exclamatory, capitalizing and punctuating correctly. The students loved rotating around the room and writing sentence. Students then created flip books about the kinds of sentences. These turned out really cute. 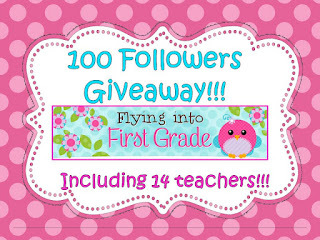 Please hurry over to Flying into First Grade for Latoya's fabulous giveaway! You could win a $20 gift card as well as many other wonderful TpT items! After you link up to our Fun Friday Linky Party, check out Heather's Heart for her great Bloggy Blessings Giveaway! You don't want to miss this one! Now for our Fun Friday Linky! I can't wait to see what you have been up to in your classrooms! Please link up any time! It doesn't have to be Friday! I have also just joined Debbie at Rainbows Within Reach Pinterest linky! I love pinterest. In fact, pinterest was my first step to the blogging world. I think this linky is fabulous, so if you would like to join, please do!! I'd also love for you to follow me on Pinterest! I work with some very creative and talented teachers! 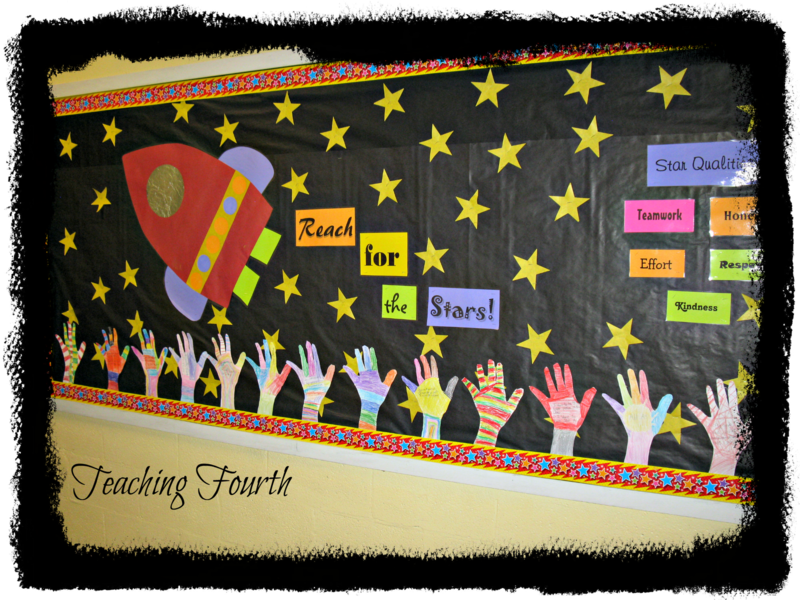 Each year they craft some impressive bulletin boards that line our hallways. 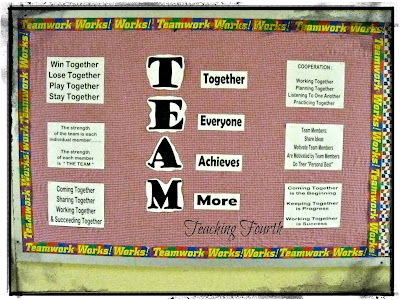 I wanted to share a few with you today that were create by my 5th grade teacher friends for our school theme: teamwork. 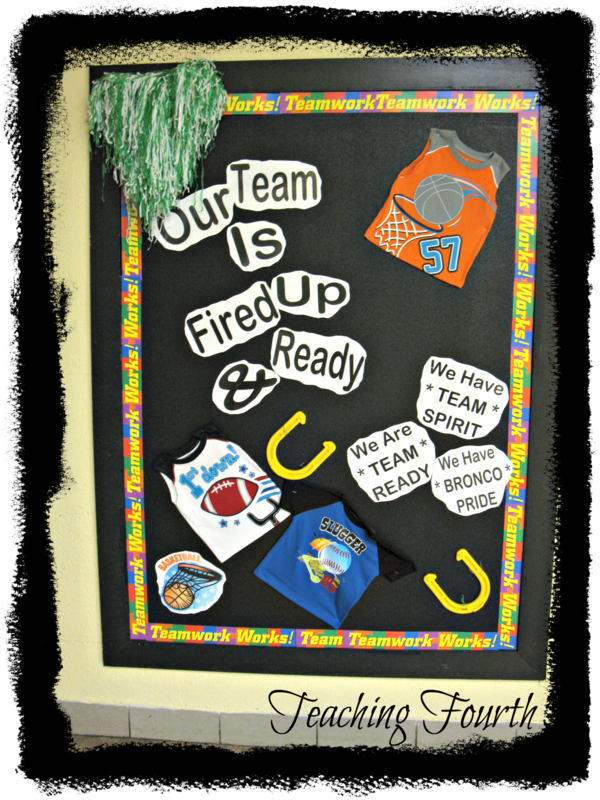 Mrs. R. is always so creative at creating bulletin boards with cute fonts! 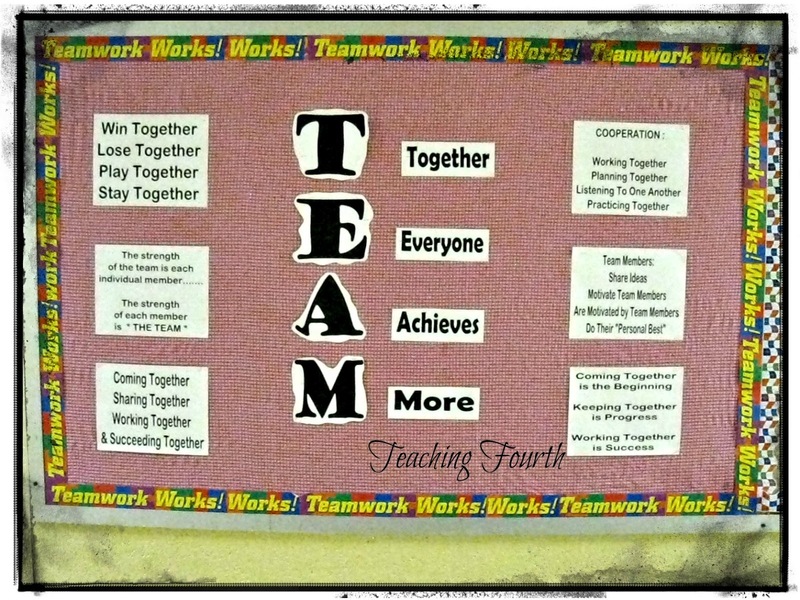 I love this acronym for TEAM. 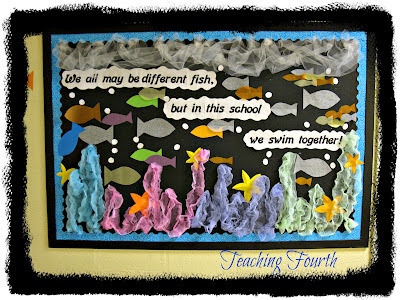 Finally, I love the fabric used on this fish bulletin board created by Mrs. B.! So pretty! Thank you, teacher friends, for letting me share! Are you in search for activities that align with the 4th grade reading literature Common Core Standards? Well, here it is! I have just completed my new Common Core Owl Themed Graphic Organizers. This package includes 14 graphic organizers including compare/contrast, story elements, graphic organizers for poetry and plays, and more. 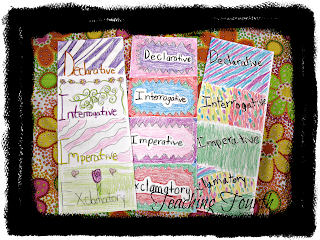 Use these organizers with any book or story to help students organize thoughts and build comprehension. 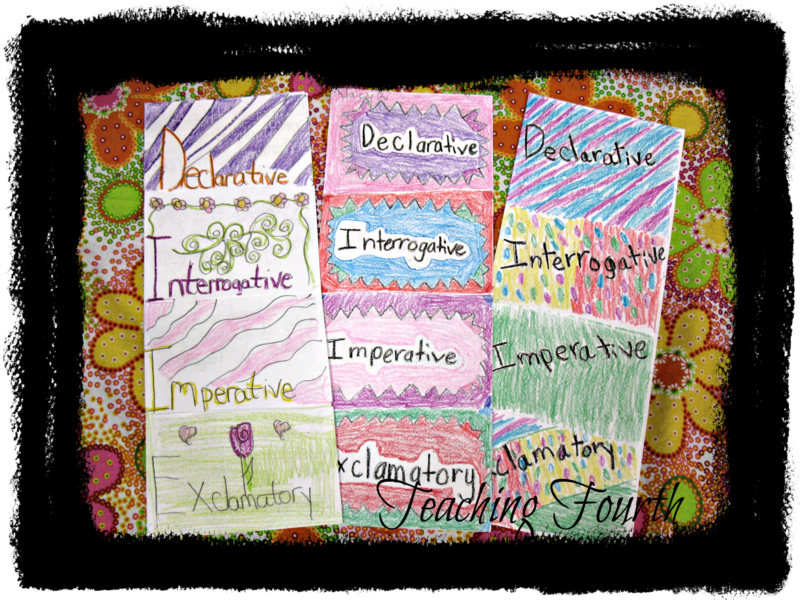 These graphic organizers can also be used for assessment of comprehension. Check them out! I think you are going to love them! ﻿﻿﻿ Don't forget to enter my 100 followers giveaway! You have another day or so left to enter! Fun Friday 100 Followers Giveaway! Today's Fun Friday is breaking the rules slightly because this post is all about the fun right here. Please join in the fun by entering to win some fabulous prizes donated by some wonderful bloggers and by linking up your favorite Fun Friday activities from your classroom. Remember, Fun Friday is all about the fun things you do in your classroom any day of the week. Mrs. Reed is offering any 2 items from her TpT store.﻿ She has some really cute movie themed items that you must check out! ﻿﻿Deborah is offering any 1 free item from her TpT store. 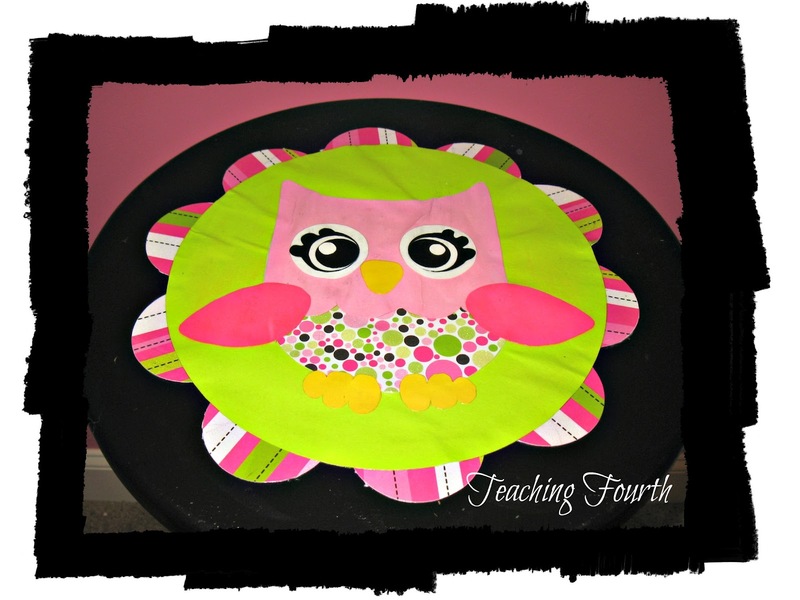 Check out her preschool and kindergarten items! Tara is offering any 1 free item from her TpT store. You might choose one of her wonderful lit circle activities or her cute Superhero Sight Word lessons! Run! Mrs. Nelson's Got the Camera is offering 2 free items from her TpT store. I love her Spelling and Word Work packets! Alison is offering any item from her TpT store. You'll love her colorful items at her store! Heather is offering 2 items from her TpT store. She has some new fall and winter word walls that are super cute! Thanks to everyone who contributed!! Visit and comment on the two links in front and the two links behind yours. Please copy and paste my linky button on your blog and link back to this page. I may be a little strange, but I love teaching writing, especially when I have a group of little sponges like I do this year! I am so excited about the possibilities this year will bring and the improvements that I anticipate seeing in my students' writing! Already, I am seeing improvements that amaze me. 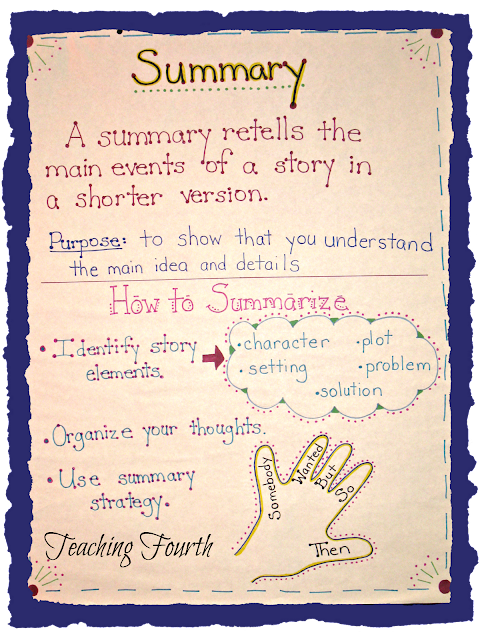 Summarizing is such an important part of reading and writing that this has been one of my first lessons in writing the past couple of years. I try to correlate my writing lesson with the summary lessons that my teacher friends and I are doing in our 4th grade reading classes. The students created a summary chart in their writing journals. Then, we used our charts and our strategies, and together, we wrote a summary for the book, Chrysanthemum. (We do). Summarizing is one of the common core standards for 4th grade reading (RL 4.3), so we will continue writing summaries together throughout the year in reading and writing classes until students become more familiar with the process. On another note, "Whoohoo!" I am thrilled and amazed that I have reached 100 followers so quickly! Thank you so much to everyone who is following and reading my blog. When I set out on this adventure, I didn't know where it would take me, but I am having a ball! To celebrate, I will have a 100 Follower Giveaway on Friday along with my Fun Friday post. I have some sweet bloggy friends who will be offering some wonderful items to be given away, so don't miss this giveaway! It's going to be good! ﻿So, don't forget to come back Friday! It will be a busy blogging day! We will be linking up for Fun Friday, so bring your favorite fun activity from the week and join in the fun and link up! You'll also be able to participate in this great giveaway! I can't wait to see you! In the meantime, check out Heather's fabulous giveaway at Peacocks and Penguins. Please let her know I sent you over! Fun Friday #2 Linky Party- Join in the Fun! Thank you so much to everyone who linked up last week! I was thrilled that so many of you joined in! My inspiration for the Fun Friday linky came from an activity that I have used in my classroom for years to motivate students to have wonderful behavior. Every time my class is caught being good either by myself or by another teacher, they can earn a letter in the words, "Fun Friday." This has been a very successful motivator in the past. I usually do not start out the year with this activity. Rather, I like to wait a few months to give the students a new goal to achieve. Sometimes when students seem to be getting in a rut, this helps turn things around. The fun part comes when the class spells out Fun Friday. We usually celebrate with something fun. It can be something as simple as a game afternoon with partner games like tic tac toe or the connect the dots game, class games such as heads up seven up, puzzles or board games, a short video, popcorn, free time, etc. I have created colorful letters that spell out Fun Friday. These will be for sale on my TpT store, but for this weekend, I will offer them for free. I just ask that you follow me, if you don't already. 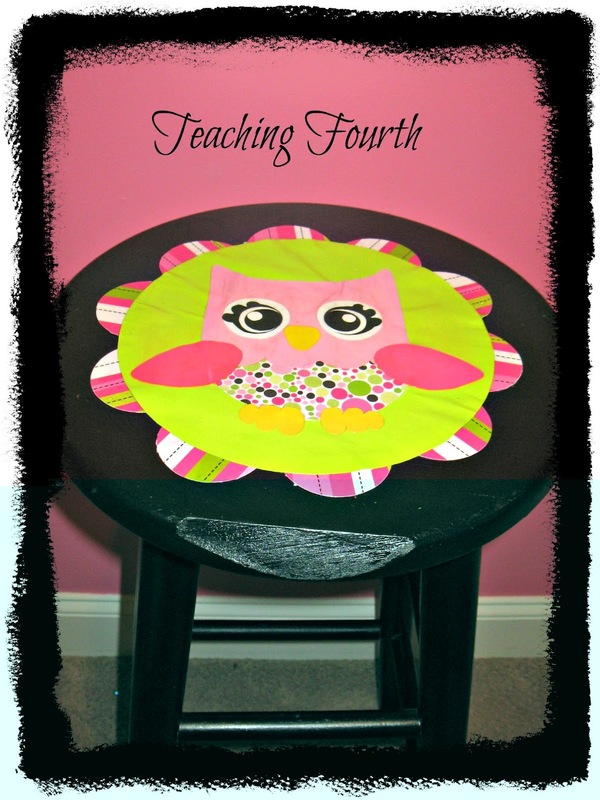 Also, please follow me on Pinterest and on my TpT store. Thanks so much! 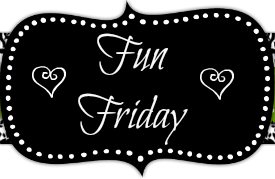 Fun Friday is all about the fun things that you have done in your classrooms this week, and I can't wait to see all of the fun things that are happening in your classrooms! Please copy and paste my button on your blog for the linky, and link it back to my blog. Also, just as some other blogs do, I ask that you share the love and comment on the two links before and after yours (or even more if you'd like). Sorry, I realize I am several days late for Farley's currently, but I didn't want to wait a whole month to be able to link up again! So here is my currently. We have muscadine vines in our backyard that have been ripe for several weeks. I love going out to the vines and filling up until I can eat no more. They are like candy they are so sweet! I am so proud of my girls. They are both playing volleyball for the first time this year! Mr. B. and I are enjoying watching them play. Thanks, Farley, for the linky! Please come back Friday for my linky, Fun Friday. 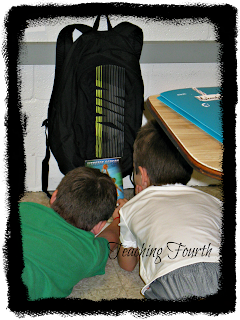 This linky is all about the fun things we do in our classrooms. Please come join in the fun! 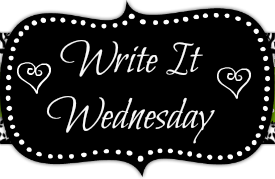 Today's Write It Wednesday is centered around students writing about what they are reading. We are discussing story elements and characters. 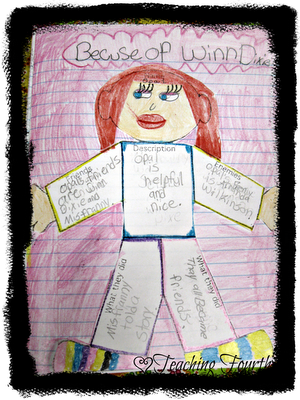 To help build comprehension of the characters from their books, my students completed this graphic organizer about the main character by describing the character and listing facts that they learned. Students then cut out their little people and glued them in their reading journals. I love using graphic organizers "becuse" they help students focus on a concept and help them organize the information to recall what they have learned from the text. Don't forget to link up with me Friday for Fun Friday. Remember, this linky is all about the fun things we do in our classrooms! This has been a wonderful Labor Day! My family has been blessed with a very relaxing day. I have been busy cleaning the house and working on projects for home and school. It has been nice to have a day to catch up with cleaning around the house. For Monday Made It, I recruited one of my daughter's help. I have been inspired by the mod podge stools that I have seen online, like the one from Swimming Into Second. I am so pleased with how it turned out! I am also extremely excited about my 2 new TpT owl themed items, "Owl" About MePowerPoints and "Owl" About Me Posters. 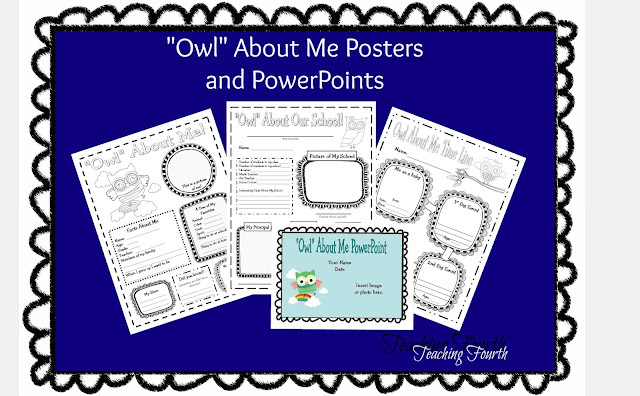 "Owl" About Me Posters contains printables that can be used as handouts or made into large posters for students to create and display about themselves, their school, or their classroom. "Owl" About Me Powerpoints contains an activity and templates for a PowerPoint called "Owl" About Me. 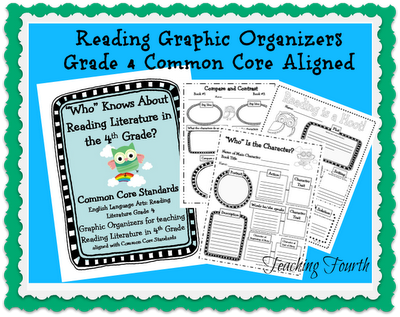 This activity aligns with the new Language Arts Common Core Standards for Writing and Speaking and Listening for Grades 3, 4, and 5﻿. Students do research by interviewing relatives to learn more about themselves. Then they organize the information into a PowerPoint presentation to present to the class. 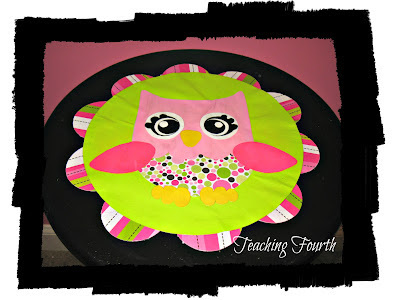 There is also a template for "Owl" About the Teacher. This can be used to model the lesson or for beginning of the school year. It could also be used at open house to introduce yourself to your students and parents. I pray you have had a very blessed long weekend!